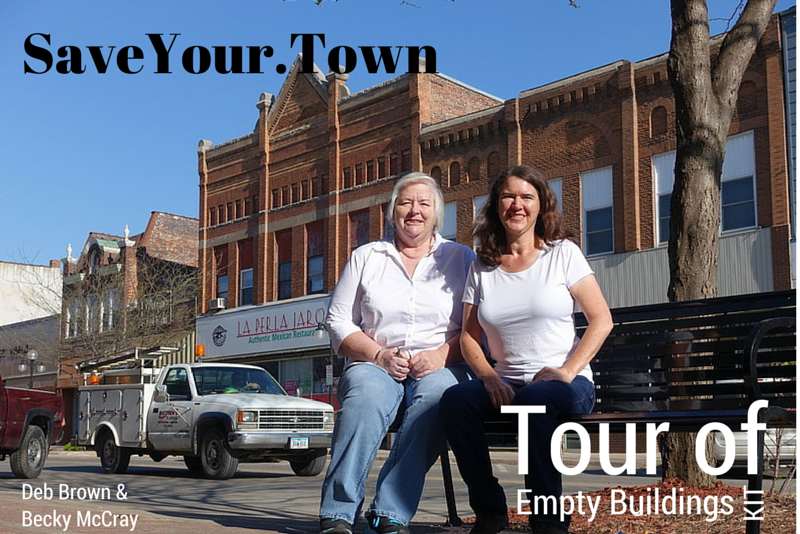 The Tour of Empty Buildings resulted in new businesses, filled buildings, changed how locals thought of their town and drew national attention. It also inspired other towns to show off their empty buildings as an asset. If you’ve heard the idea and nodded, thinking “what a great idea! We could do that here!” but you didn’t actually get it done, the Tour Kit may be just the help you need. You’ll get four emails over four weeks, walking you through the whole process step by step. There won’t be any complicated logins or long videos to sit through. It’s all coming to your email. You can save them for later, or print them out if you like. However you work best. Have you already purchased the Kit? Head to this page to get started. What Started The Empty Buildings Tour Idea? Imagine a downtown street full of many empty storefronts, in a small town that just lost a major manufacturer. Best to just keep it quiet and try to recruit a new manufacturer in hopes that will fill those empty buildings in a few years, right? NO! 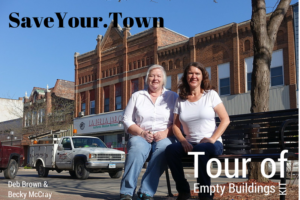 One small town in Iowa held a Tour of Empty Buildings, received national attention, kicked off an idea for other towns and started filling those buildings. 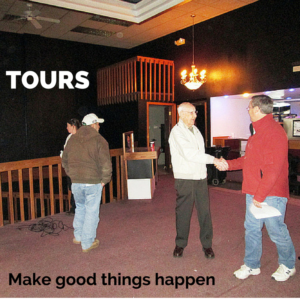 You’ll hear exactly what they did to create a successful tour and to market the tour and results on a national level. 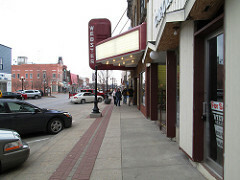 Webster City has a population of about 8,000. It had been home to a brand name manufacturing plant employing 850 workers. In 2009 the city was notified the plant would be closed. In March 2011, it was closed for good. The loss of such a high percentage of jobs was tough. But by 2013, two years had passed, and people were stuck in a negative rut. Also in 2013, Deb Brown started as director of the chamber of commerce. She didn’t want to hide the buildings; she wanted to show them off. This tour represented a shift from “what used to be” thinking to “what could be” thinking. Why Should You Buy The Toolkit Now? It’s a lot more than just the idea. You can take the idea for free, just like we’ve described it. In this toolkit, you’re getting the HOW-TO and the focus on IMPLEMENTATION and samples of the actual tools Deb used. We’ll be talking you through the process by email. We’ll answer your questions. We’ll help you tackle problems. When you get the toolkit, you have us in your corner. You’ll get a series of lessons over four weeks, walking you through the whole process step by step, and tools you can download and customize for your own Tour. You can do them at your own pace, save them for later, or even print them out if you like. However you work best. We’re always there by email. On every page in the course, you’ll find a form that sends us a direct message. You can ask us anything. We’ll both pitch in and share our best thoughts to help you succeed. If you aren’t satisfied with the toolkit, let us know in the first 30 days. We’ll refund your money, but we’ll have lots of questions. Because we want to improve and do a better job for every future customer.